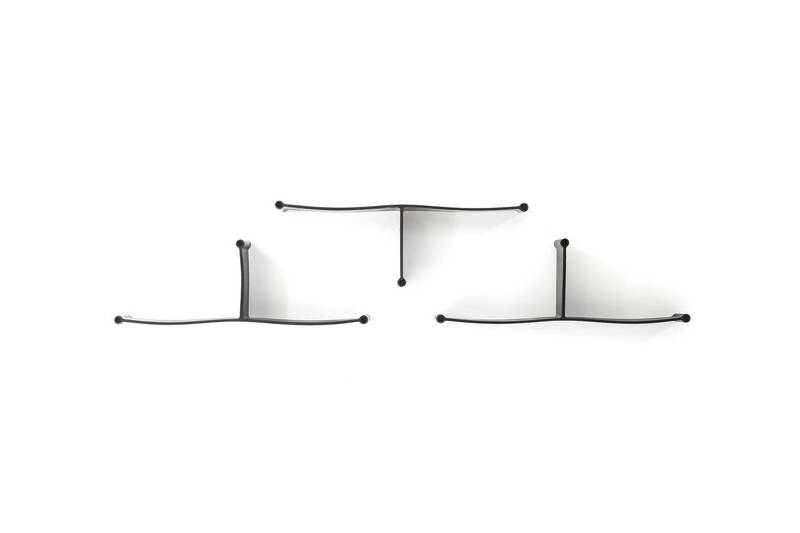 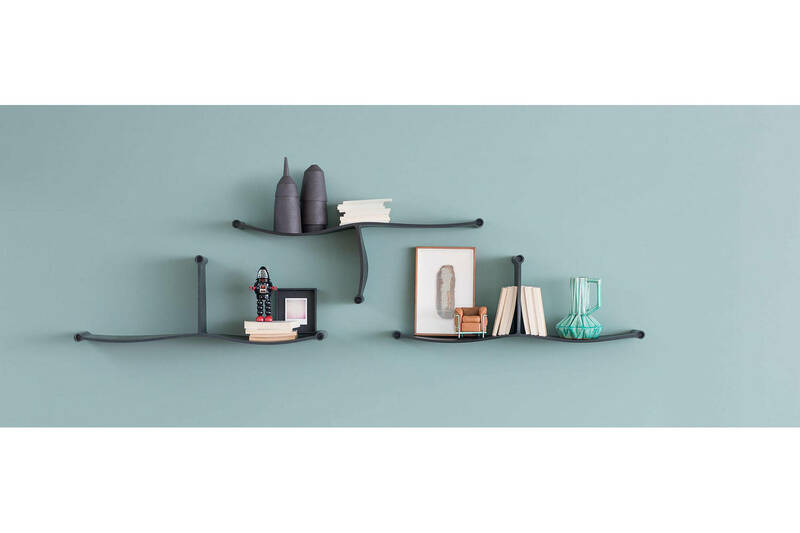 A shelf created by the two French designers that forms part of the accessories range in the catalogue. 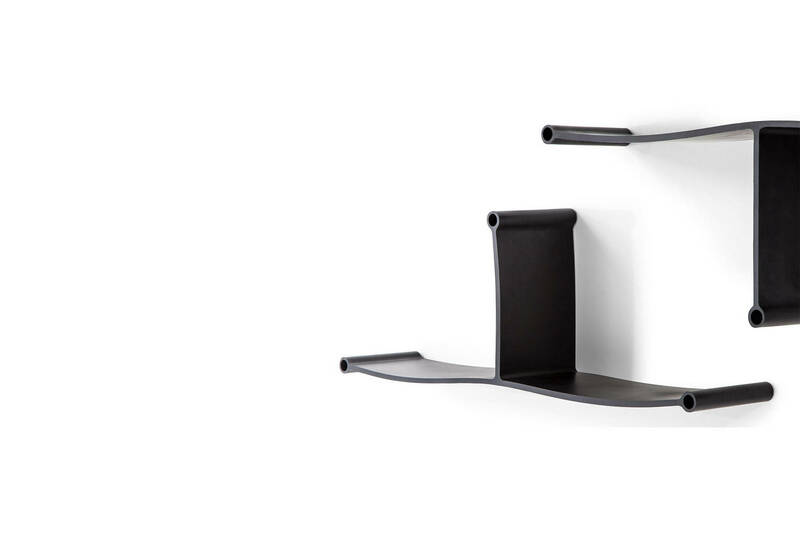 This original, graphical form decorates the wall: the meeting of two ledges with a central element in highly versatile thermoplastic material creates a shelf perfect for holding books and small- and medium sized objects that adapts and bends according to the weight applied to the ledges. 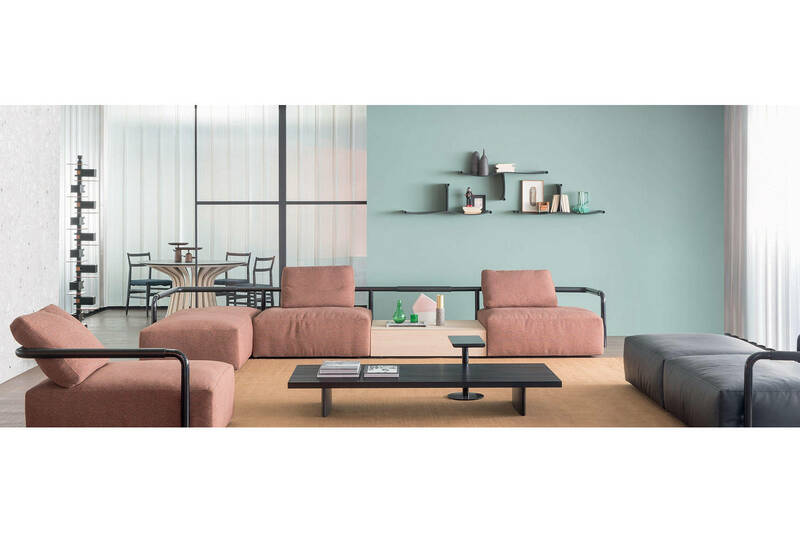 A flexible and highly functional object in other words with decorative features particularly if located on the wall in combination with other elements. 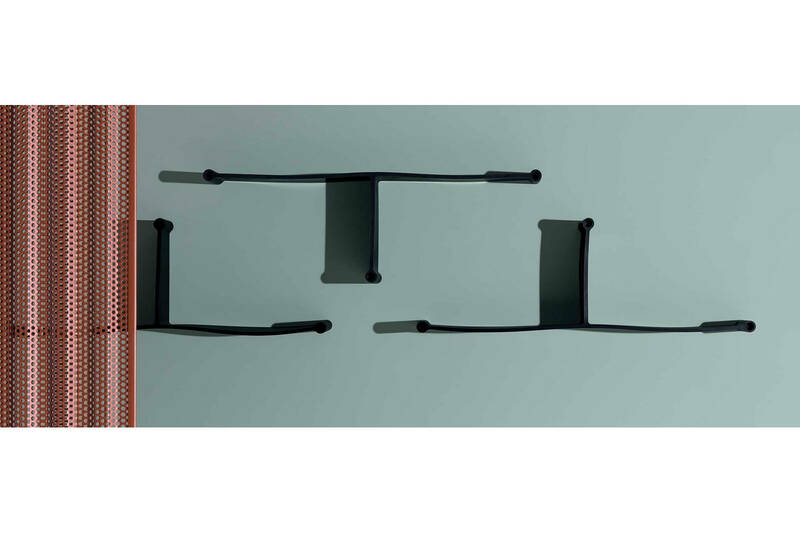 Material: black thermoplastic rubber. 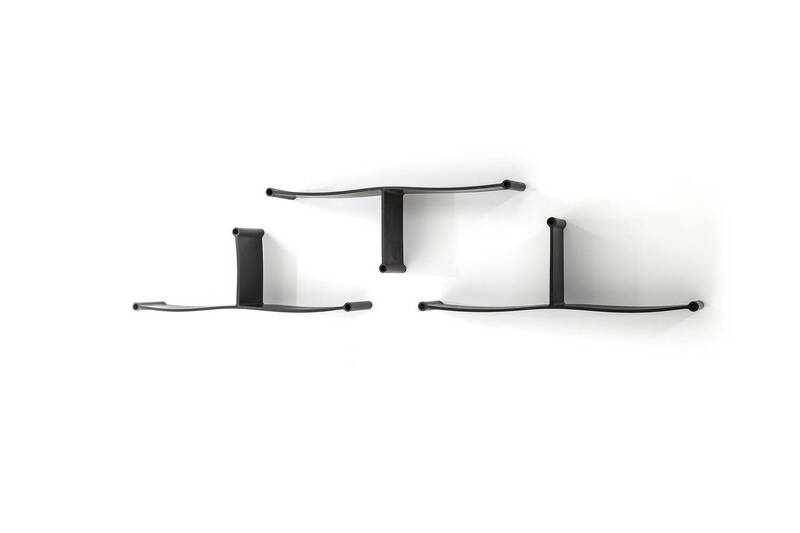 Wall mounting: using hidden shelving dowels. 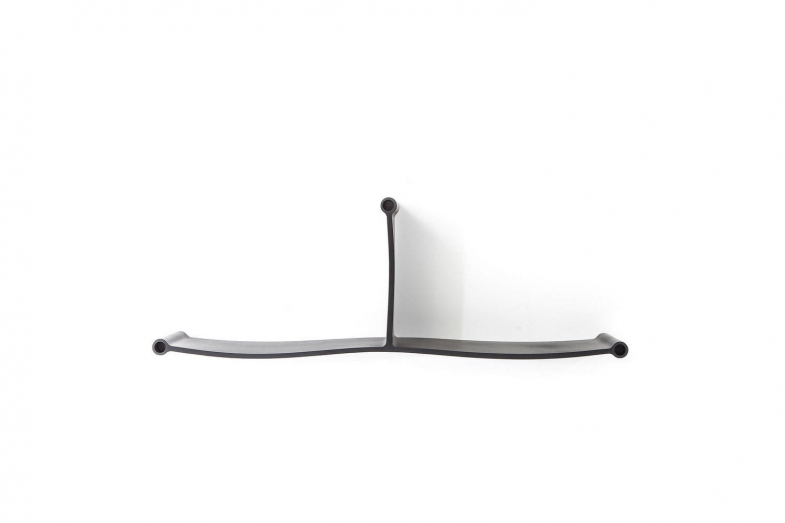 Maximum applicable weight: 4 kg (8,82 lbs) per shelf - 8 kg (17,64 lbs) per shelf unit.